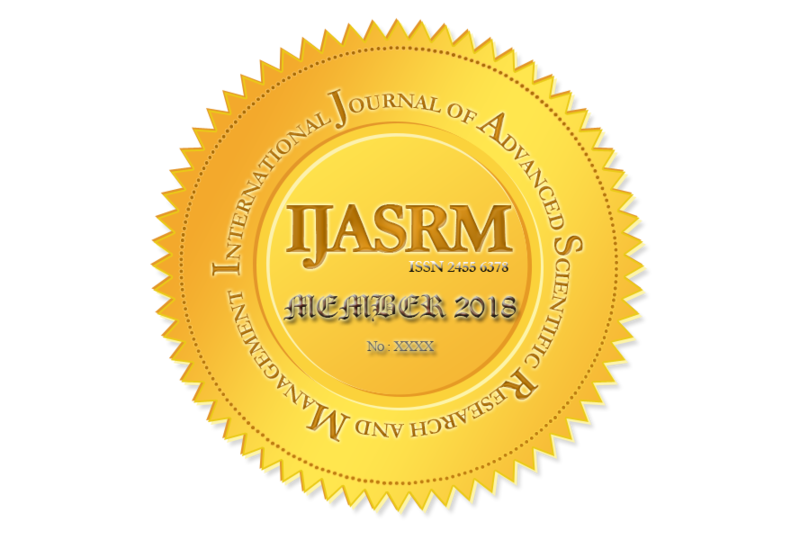 IJASRM is a scholarly, open access , online international journal which aims to publish peer reviewed original research oriented papers or reviews in the fields of Agriculture, Science, Engineering, Technology and Management Studies. It encourages and provides a medium for the publication of all original research contributions of significant value in all areas of agriculture, science, engineering, and technology and management discipline are welcome. IJASRM is presided over by a distinguished Board of Directors, Management Consultants, Researchers, Scientists, Engineers and Academicians and is backed by an international review board panel consisting of prominent individuals representing many well-known Universities, Colleges and Corporate World. We publish high quality research and review papers without delay. Section A : Agriculture Sciences: This section is devoted to the promotion of all fields of Agriculture Sciences like Agriculture Economics, Agronomy, Plant Science, Animal Science, Horticulture, Plant Pathology, Entomology, Seed Technology, Food Science and Technology, Food Nutrition, Agro meteorology, Soil Science etc. Section B : Basic Sciences and Humanities: It covers all branches of Chemical Sciences, Biological Sciences and Physical Sciences including Biochemistry, Microbiology, Biotechnology, Nanotechnology, Environmental Sciences, Physics, Chemistry, Biology, Mathematics , Statistics , Education, Sociology ,linguistics etc. Section C : Engineering and Technology: Includes all branches of engineering and technology like Chemical Engineering, Mechanical Engineering, Computer Science and Technology, Electronics and Communication, Agriculture Engineering, Process and Food Engineering, Civil Engineering etc. Section D : Management Studies: This Section covers all the topics with Business and Economics, finance, Marketing Management, Human Resource Management, Operations Management, Supply Chain Management, Logistics and Warehousing, Retail management and other areas of Management.